In order to cope with the increasing water demand arising from planned new housing developments, the Water Supplies Department of Hong Kong Special Administrative Region of the People's Republic of China needed to build a new service reservoir with a storage capacity of 24,000 cubic meters—and an accompanying 4.2 kilometers of freshwater mains. 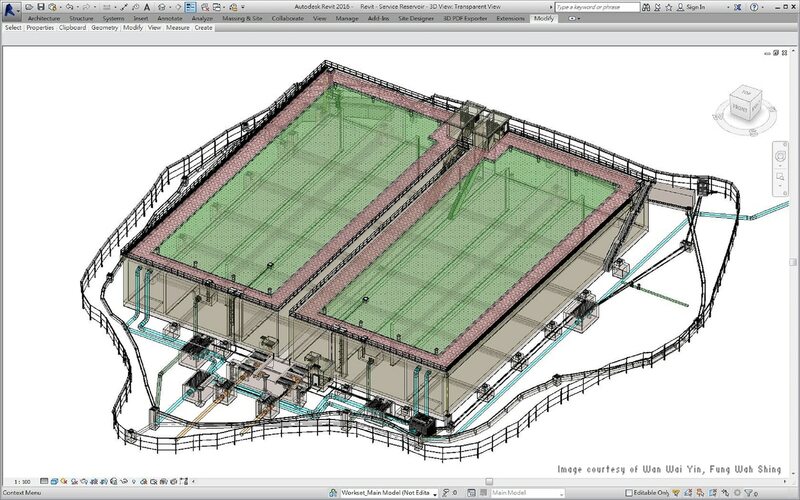 To undertake the project, the Water Supplies Department decided to use Building Information Modeling (BIM). One challenge: BIM had been introduced to Hong Kong only recently—and the team had never employed the process and the technology. But right from the conceptual stage, the Department saw how BIM could help them to navigate the project’s complexities. In the past, the Department had only prepared 2D plans for water mains, which lead to clash identification difficulties. This was a major problem in a place like Hong Kong, where high population density means that utilities are normally laid beneath public roads in a congested and disorganized manner. Designing alignments of large-diameter water mains to fit in the limited underground space without conflicting with the existing facilities had proved tough in past infrastructure undertakings. But BIM enabled the team to migrate into the more reliable 3D design, which helped them to identify clashes difficult to visualize in the 2D environment. BIM even provided 4D simulations, empowering the team to plan more-efficient construction schedules and better eliminate wastage. BIM also assisted with another challenge—stakeholders’ concerns over visual impact and “feng shui,” the Chinese philosophy of arranging an environment in the most auspicious manner. 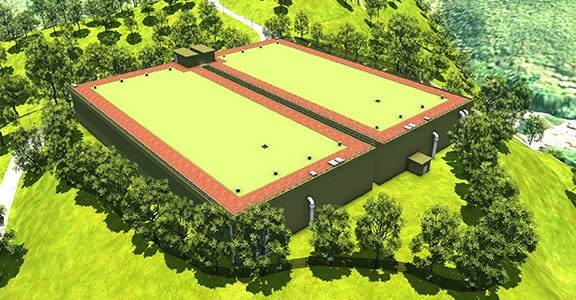 For one thing, the proposed service reservoir is located in the vicinity of burial grounds. During public consultation, local villagers and District Council members inquired as to whether the reservoir could be relocated. 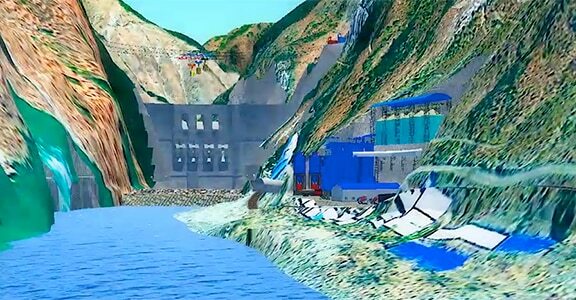 By showing 3D visualizations, the Department was able to convince them that this was the reservoir’s ideal placement—and stakeholders could see how naturally the structure would blend into the terrain. Similarly, BIM helped the team to plan the water mains sections under River Indus by trenchless method instead of by building a pipe bridge, since the former has the advantages of zero visual impact, as well as minimal disruption of the river bed and water quality. 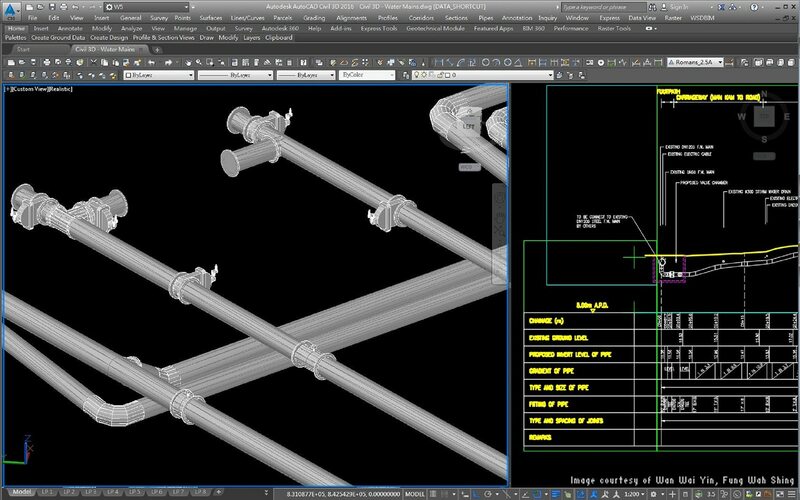 The team discovered that working with BIM had other advantages, too. 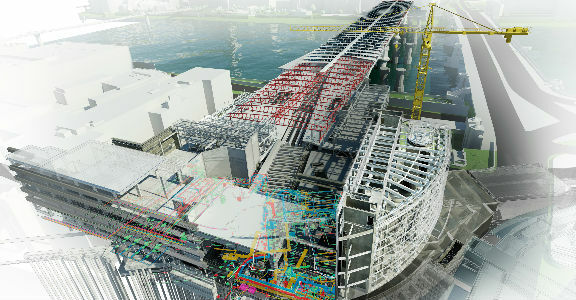 Whereas previous workflows relied on multiple file formats and disconnected processes that quickly fell out of sync when changes took place, the BIM workflow enabled a much more dynamic and synchronized approach to project management. And with cloud services, large files were exchanged and shared more efficiently. According to Mr. WAN Wai Yin, Engineer/Design of the Water Supplies Department, HKSAR, "Our team has gained valuable experience in adopting BIM to resolve problems specific to our project “Improvement of Water Supply to Sheung Shui and Fanling”. Realizing the benefits of BIM implementation and its crucial importance to the success of our project, we want to share our experience with others. 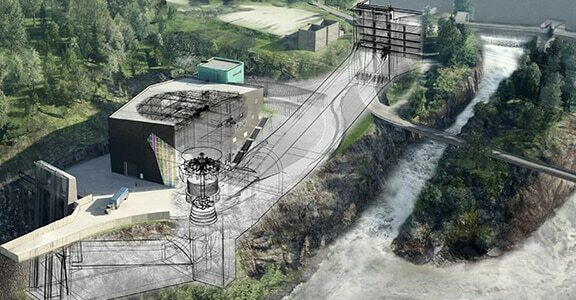 This has been our first use of BIM, but it won't be our last."